Small-scale specialty vegetable production offers great potential for farmers seeking hardy crops that have growing consumer demand. Traditional vegetable production as an agricultural enterprise tends to have associated risks. There are disease and pest issues, weather concerns, uncertain and unfamiliar markets, price variables, and competition from other growers. Specialty vegetables are new crops and have less disease and pest issues. The plants are more heat and drought tolerant; there is less price variation; and there is considerably less competition from other growers. Considering these factors, specialty vegetable production is much more viable and offers unique marketing opportunities, especially for small-scale producers. The United States (US) is a major importer of fresh vegetables from Mexico and Central America. 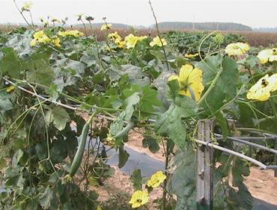 The state of Alabama ranks about midway for vegetable production among the 50 states compared to its neighboring state of Georgia that ranks among the top five. Thus, Alabama has the potential and the need to increase its production of vegetables. The overall demand for US organic foods is significant and the demand for organic foods continues to rise, along with Alabama’s ethnic and immigrant populations. Therefore, the increasing demand for both ethnic and organic food offers Alabama farmers tremendous opportunities to diversify their food production systems that would appeal to immigrants, particularly Asian (Indian and Chinese) and Hispanic populations. Production of high-value specialty crops that appeal to ethnic immigrants in Alabama can help keep small- farm enterprises viable because of greater returns from lower land and capital investments. Thus, small-scale specialty vegetable production in the Southeast offers great potential for farmers seeking unique opportunities targeting Asian, African, and Hispanic markets, for example. Expect initial start-up costs to run as much as $34K per acre, which includes labor, materials, and equipment for planting and harvesting. Although many of the specialty vegetables discussed in this publication are not readily found in most commercial grocery stores or at farmers’ markets, many ethnic clientele are familiar with their culinary appeal and health value and will eagerly purchase these products. While large-scale production may not be practical for specialty vegetable production, farmers with small tracts of land are provided unique economic opportunities if they are willing to grow and market these vegetables. 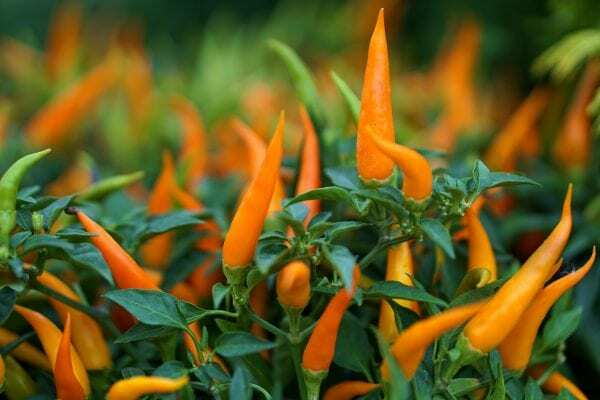 The other advantage to growing these vegetables is that they are typically grown in warm humid climates such as Southeast Asia or Africa, and may be less prone to insect and disease problems. 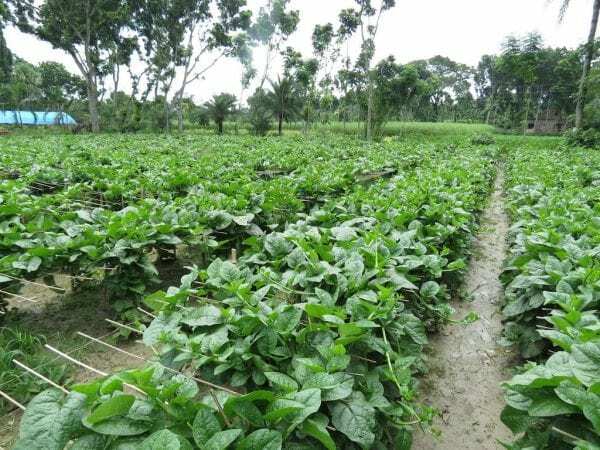 This publication will focus on the production of nine specialty vegetable plants: eggplant, peppers, okra, basil, bottle gourd, ash gourd, ridge gourd, bitter melon, and Malabar spinach. Table 1. Specialty vegetable crops evaluated at Alabama Agricultural and Mechanical University’s Winfred Thomas Agricultural Research Station included but are not limited to those listed in Table 1. Eggplant Solanum melongena Bartha, Thai, Bride, etc. Peppers Capsicum Bell, Cayenne, Mariachi, Pepperoncini, Pablano, Habanero, etc. 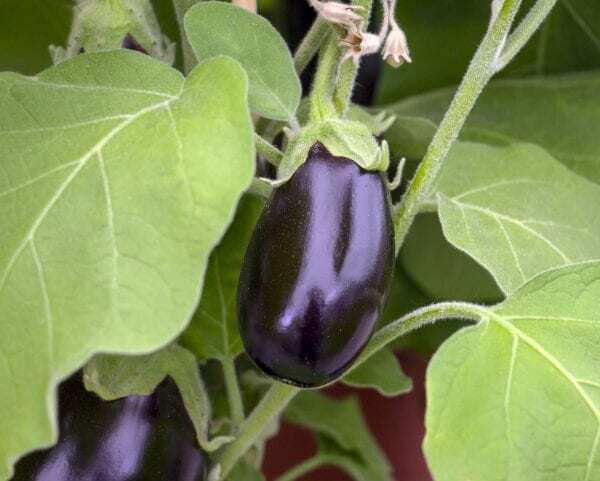 Eggplant has large green leaves with white to purple flowers. The fruit is pendulous (hangs loosely), tends to have a shiny skin and comes in a variety of shapes (elongated, round, and oval) and colors (black, white, and purple). It can be cooked in many ways, such as with curry and spices, fried, added to soups and stews, or prepared as an eggplant Parmesan casserole. Peppers come in many varieties, colors, shapes, and “heat.” Capsaicin in peppers acts as a fat-dissolving chemical that also produces varying degrees of burning sensations. People living in warmer climates tend to seek out hot peppers believing they help them to adjust to hot temperatures. Peppers are a pendulous fruit, which means they hang loosely. While the leaves are green, when ripened the fruit will turn to colors of red, orange, and yellow. Okra has large green leaves. It tends to be tall and bushy and is known for its fibrous fruits or pods containing round white seeds. Okra is among the most heat- and drought- tolerant vegetable species in the world. The fruit tends to be elongated and has the nickname “ladies fingers.” Most varieties of fruits are green, but there is red okra. 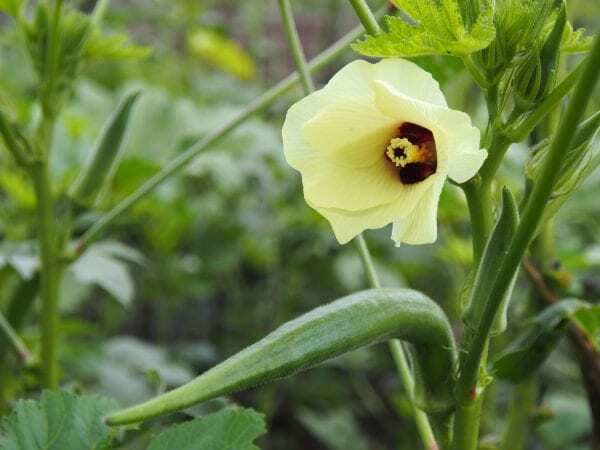 Okra is known for the variety of ways it can be prepared, including battered and fried, cut long ways and dried, cooked with other vegetables, or added to soups and stews. Basil also comes in an amazing number of varieties. Each variety has a varying essential oil profile that comes together in different proportions for various aromas and flavors. Basil is a hardy plant that is grown throughout the world. It can be utilized fresh, dried and stored, or made into a pesto and frozen for future use. 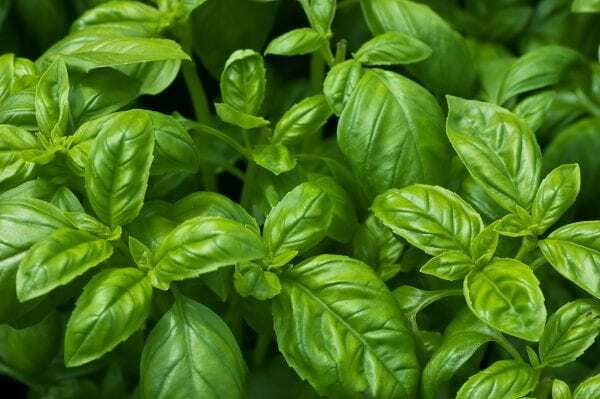 Studies of basil essential oil have shown antifungal and insect-repelling properties, and it is currently being studied for its medicinal value. Bottle gourd is a vine plant of the cucumber family. It does best when grown on a trellis, and has broad green leaves and white flowers that usually open at night. 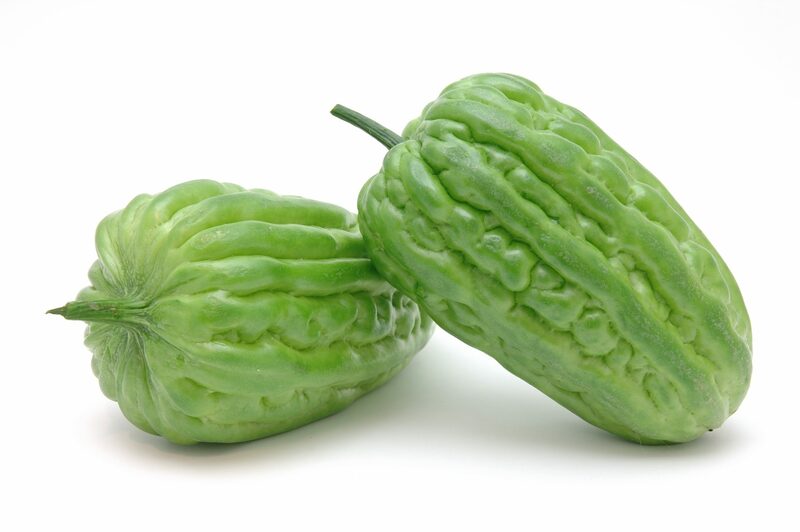 The gourds grow long and narrow up to a meter, and are light green in color. Consuming the meat of the gourd is believed to have health benefits, and it is known for its content of potassium, magnesium, and phosphorus. 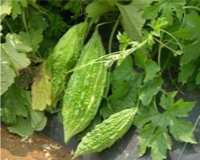 The bottle gourd can be cubed then cooked or boiled, and is often used in stews, soups, or pesto taking on the flavor of whatever seasoning is being used. Also, the fruit can be sliced and made into pickles. Ash Gourd is sometimes called a winter gourd or melon because it stores well into the winter. It is a vine plant that eagerly spreads, and is a member of the inodorous (odorless) cultivar group; therefore related to the muskmelon (honeydew melon). The fruit becomes very large and heavy and is best grown on the ground. The fruit has a waxy feel and starts out green in color then appears ashy or white when ripe. Once the skin is removed the meat can be cubed and cooked in stir-fries, soups, stews, and pesto. 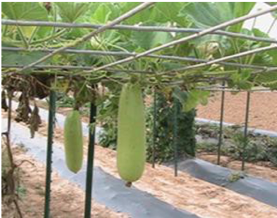 Ridge or ribbed gourd is also a vine plant with large leaves and yellow flowers. It is a member of the Cucurbitaceae or cucumber family. This plant grows best on a trellis as it tends to sprawl and bears elongated ridged green fruit. While the fruit is long, it is best consumed raw or cooked when less than 6 to 8 inches. As the fruit matures it becomes very fibrous. Once dried, deseeded, and peeled, it can be used as a loofa sponge. When cooked in its young stage, it is ideal for soups, stews, curries, and pesto or sliced and made into pickles. a member of the Cucurbitaceae family. The fruit is a greenish-yellow, oblong, and bumpy fruit that resembles a cucumber with a waxy feel. It produces much fruit when grown on a trellis. The fruit is best consumed while green. As the fruit matures it turns yellow into red with brilliant red seeds. Bitter melon has an extensive history and list of medicinal claims. It can be served with yogurt to offset its bitter taste. In many cultures it is mixed and fried or sautéed with onions, peppers, and other spices. Malabar spinach is of the Basellaceae family, and not the spinach family. Unlike many leafy vegetables, it grows abundantly in hot climates and tolerates heavy rainfall. It is a fast-growing leafy vine with heart-shaped leaves. Leaves can be harvested when they are only a few inches long up to 6 to 8 inches. It is high in protein and fiber, and has a significant content of vitamins A and C, iron, and calcium. 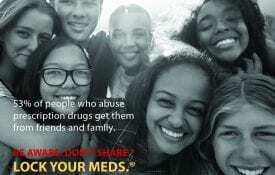 It has also been known to have many health benefits. The plant can be used as a thickener in soups, and serves well in stir-fries and stews. It also goes well with curry and vegetarian dishes. Quality soil is the basis for quality vegetable production. While the aforementioned plants will survive in most soil types, an ideal soil type is sandy-loam, well-drained, and rich in organic matter. A pH range of 6.0 to 7.5 is ideal because it allows nutrients in the soil to be more readily absorbed by plant roots. Soils should be tested once a year. A combination of the ideal soil type, pH level, and warm temperatures will insure healthy productive plants. Sixty degrees Fahrenheit (17 degrees C) is the minimum soil temperature for seed germination and plant vigor. To ensure minimal soil temperatures for germination, production sites should always receive direct sunlight and possibly utilize mulch or black plastic. Because these plants (eggplant, peppers, okra, basil, bottle gourd, ash gourd, ridge gourd, bitter melon, and Malabar spinach) are used to tropical climates, they require warm sunny environments with growing seasonal temperatures of 65 to 84 °F (19 to 29 °C). They will easily tolerate temperatures into the 90s and low 100s. However, extremely moist soils can result in disease problems with seedlings and reduce germination. These plants are also sensitive to frost and some are not photoperiod- sensitive (response of plants to light and darkness over a 24-hour period). Seeds for these plants are typically started in greenhouses 8 to 10 weeks prior to the anticipated frost-free date. While the seeds can be directly planted into the soil, it is better to plant them in seed trays or in cups in a greenhouse. As they become hardy they can be planted at garden sites from late-April to early June depending on soil temperatures and location. Seeds planted directly in the ground should be done at anticipated frost-free date. Planting seeds in rows will work and is practical if the soil temperature is above 60 °F and if adequate moisture is available. Germination times range from 4 to 5 days up to 6 or 7 days. Start seeds in trays inside a greenhouse or high tunnel and then transplant them to a production site. This will help to ensure early germination of seeds and to increase germination rates that give plants an early start, and provide a better market advantage with early product availability. For seed or seedling establishment, soils should be well tilled and absent of any weeds. Mechanical or manual labor can be used to control weed invasion. Choosing whether to use no-till with mulch or tillage is a management decision. Same applies to reliance upon rainfall or irrigation. Excessive moisture can be problematic and results in disease issues. Keep in mind that these plants are annuals. The crops respond well to fertilization with complete fertilizers that supply the three basic nutrients: nitrogen, phosphorus, and potassium. Appropriate fertilizer application will depend on soil quality and can be determined utilizing soil lab tests. When using drip irrigation, fertigate (to fertilize and irrigate at the same time) utilizing a soluble fertilizer such as Peters 20:20:20. When plants are grown, utilize conventional methods or liquid organic fertilizers such as Multibloom™ or Neptune Harvest™ at 3 to 4-week intervals, particularly after each harvest. Insect pests(established or invasive species) are a constant threat to specialty crops. In general, home gardeners or urban farms may not experience insect pest issues in the first few years of ethnic or exotic vegetable production. However, long-term pest problems mat start to surface once insects start to establish and there is regular availability of vegetables. This is termed “pest build-up”. The best way to know this is by documenting species abundance and pest numbers by direct scouting. 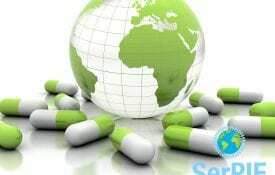 Keep good records in a journal and consult with extension personnel for accurate diagnosis. Always talk to extension and trusted sources before using insecticides since pesticide residue levels may not be available for ethnic vegetables. We encourage gardeners and producers to use pest prevention tactics to reduce the overall threat from insects. The common insect species on exotic vegetables may have: a.) chewing mouthparts like caterpillars (many species), flea beetles, grasshoppers, Japanese beetles (JB), and Colorado potato beetles (CPB); b.) piercing and sucking mouthparts like brown stink bugs (BSB), leaffooted bugs (LFB), and brown marmorated stink bugs. When dealing with highly mobile insect pests, approach pest management with the whole farm or garden in mind, for example, have a printed or a mental map of the location specially noting the proximity of your vegetable garden to orchards and/or wooded area. The latter can be a major source of BSBs and LFBs that may infest your vegetable garden. Below are the general approaches to sustainable insect pest management that are long-term tactics requiring some additional resources and long-term planning. Alabama Extension Vegetable IPM program has many years of research data showing the benefits of trap cropping specially targeting stink bugs and LFBs. The leaffooted bugs show a strong “edge effect” as the pest invasion starts from the outer field edges and then moving inwards. Trap crops such as NK-300 sorghum and Peredovik type sunflower, planted two weeks before the main crop along the field perimeter, is a strong deterrent for sucking insect pests. Sorghum and sunflower can also be planted between different crops to stop inter-crop migrations of leaffooted bugs. We have also observed reduced JB infestation when blooming sunflowers are available along the field borders. Other side-benefits of trap cropping are an increase in beneficial insects (spiders, lady beetles, and tachinid flies) and reduction in wind damage to crops. Trap cropping can be done on raised beds where space allows or in pots with proper care and positioning. Another very useful IPM tactic that could be very suitable for small farms and gardens includes the use of physical barriers to stop insects. Physical pest exclusion systems can be temporary (time-limited protection) or permanent (long-term protection) systems that involve the use different materials. For example, early season transplants or seedlings can be protected from flea beetles and grasshoppers (tough insects to manage with bioinsecticides) by using Super Light Insect Barrier (GardensAlive.com) or Agrofabric Pro (SevenSpringsFarm.com). Those insect barriers are very light fabric that allows 85 to 90 percent light and rain penetration without letting the insects in. The critical step is to install the pest exclusion material immediately after transplanting or seed germination using “low hoops” or “wire frames” over the top of plants. High tunnels are also an excellent environment for ethnic vegetable production as the frame itself can offer support to growing crops. For high tunnel environments, permanent exclusion systems using shade cloths can be a practical approach for reducing crop damage from large insects including moths, LFBs, and Japanese beetles. This IPM approach is called the “high tunnel pest exclusion” or HTPE system consisting of a 50 percent shade cloth permanently installed under the sidewalls under the rolling plastic, and part of the end-walls to allow access inside the tunnel. Proper sealing of the high tunnel with pest exclusion material is critical for the pest-prevention tactic to work. Many approved insecticides are available for organic farming or gardening. Many organic insecticides are specific to insect pests (for example, microbial products like Dipel, Xentari, Mycrotrol, and PFR-97), while others could have broad-spectrum action (for example, botanical insecticides like PyGanic and neem). In general, organic insecticides may be slow acting with low persistence in the environment; numerous applications may be necessary to prevent pest outbreaks. Remember that many of the organic products may not have been tested on exotic vegetables; gardeners should test the materials in few plants before treating the whole area. Targeted applications can reduce impact of broad-spectrum insecticides on natural enemies that have a critical role in sustainable agriculture. Check out Alabama Vegetable IPM for various training modules and then contact the authors for a site-specific IPM plan incorporating the discussed tactics. Contact the authors or an appropriate regional extension agent for developing site-specific IPM program suitable for your location. Producers and gardeners can get hands-on IPM training by attending workshops around the state. The Alabama IPM Communicator e-newsletter is also an excellent resource for new and beginning farmers for research-based information and event announcements. Vegetable harvesting will normally begin about 7 to 9 weeks after seeds have germinated and slightly less for seedlings. Knowing this time frame allows for planning of maintenance and harvesting. Harvesting may start out slow in cooler conditions and will become frequent and abundant as summer temperatures set in. Use of plastic or cloth bags and containers, buckets or pails, or even wheel barrows are very practical for containing harvested vegetables. Be careful to avoid bruising or exterior damage when harvesting, washing, and packaging vegetables. Culinary appeal: The thing to remember about many of these vegetables is they are commonly seasoned with curry, peppers, and onions are used in soups and stews, or curries, chutneys, pesto, and dips. Keep in mind that primary clientele are more likely to be Asian, African, and Caribbean populations that have a taste for spicy and hot foods. However, many typical Americans are interested in the culinary versatility and health values of these products and look for opportunities to impress friends and family with unique dishes. Opportunities exist whether at farmers markets or specialty stores in any city or community that has a significant percentage of the targeted immigrant populations. These same cities are likely to have ethnic restaurants that may prefer to purchase fresh, locally-grown vegetables to integrate into their menu items. Many ethnic and immigrant populations are accustomed to visiting farmers’ markets where they can pick up and examine the produce. Once potential clientele is identified, the key to success in marketing specialty vegetables is quality, quantity, and consistency. Small farm owners can benefit from increases in ethnic immigrant populations in US cities by growing specialty vegetables that are normally not grown by traditional vegetable producers. Whether farmers’ markets, ethnic-oriented restaurants, faith-based facilities, or individuals, the demand exceeds supply! Many ethnic groups: seek vegetables that are familiar to their roots back home, know how to prepare them, know their health and medicinal values, and want to impress friends with their culinary qualities. While large-scale production of these vegetables might not be practical in some areas, anything from 1/8 to an acre or two will easily meet the demand and generate unique revenue sources. Producing and marketing specialty vegetables to multi-cultural clientele can yield unique and enjoyable experiences. Table 2. Specialty seed supply sources. Disclaimer: The Alabama Cooperative Extension System does not endorse any vendors or products mentioned in this publication. 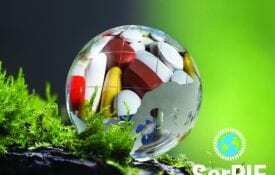 Horticulture Products and Services Div. Otis S. Twilley Seed Co.
Basella alba. (2017, January 10). In Wikipedia. Retrieved from https://en.wikipedia.org/wiki/Basella_alba. Basil. (2017, January 14). In Wikipedia. Retrieved from https://en.wikipedia.org/wiki/Basil. Capsicum. (2017, January 9). In Wikipedia. Retrieved from https://en.wikipedia.org/wiki/Capsicum. Eggplant. (2013, September 14). In New World Encyclopedia. Retrieved from http://www.newworldencyclopedia.org/entry/Eggplant. Eggplant. (2017, January 17). In Wikipedia. Retrieved from https://en.wikipedia.org/wiki/Eggplant. Health Benefits Times. (n.d.). Bottle gourd – Lagenaria siceraria. 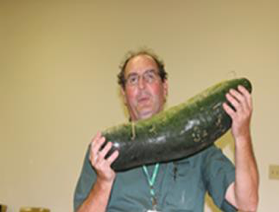 Retrieved from http://www.healthbenefitstimes.com/bottle-gourd/. Luffa. (2017, December 29). In Wikipedia. Retrieved from https://en.wikipedia.org/wiki/Luffa. The Center for Agriculture, Food and the Environment. (2017). Malabar Spinach: Basella alba, B. ruba. World Crops for Northern United States. University of Massachusetts-Amherst. Retrieved from https://worldcrops.org/crops/malabar-spinach. Tran, A. (2003, May 14). Bitter melon. Retrieved from http://www.ucdenver.edu/academics/colleges/pharmacy/currentstudents/OnCampusPharmDStudents/ExperientialProgram/Documents/nutr_monographs/Monograph-bitter_melon.pdf. Winter Melon. (2016, September 28). In Wikipedia. Retrieved from https://en.wikipedia.org/wiki/Winter_melon.